Tibby Singh Chodha checks out the latest in safety footwear technology. I believe having comfortable footwear is just as important as having quality tools. I’m often old school when it comes to footwear and I like a traditional pair of steel toe cap boots, so even the boss knows, as well as myself, I’ve got a pair on and won’t get questioned as to where my boots might be. At the same time I do like getting my hands – and feet – on to the latest advances in technology. 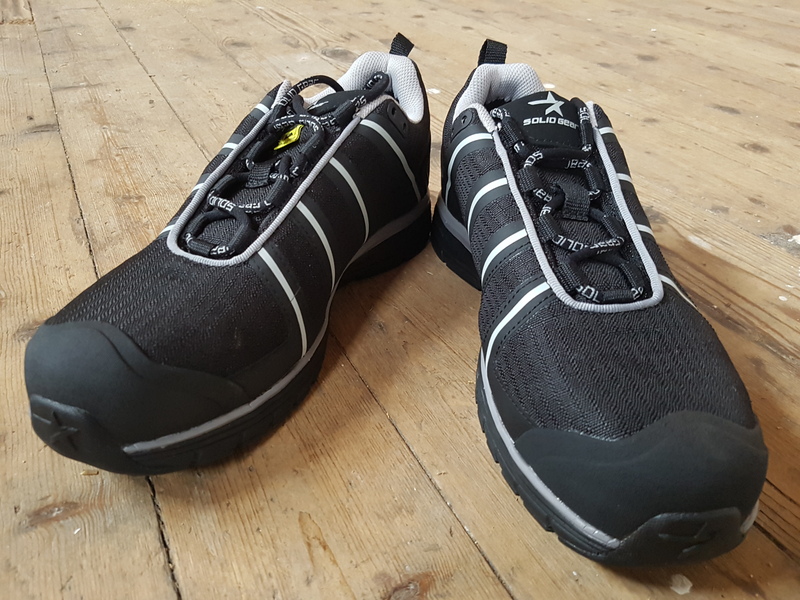 I got the opportunity to give Solid Gear’s new Evolution black safety footwear a run-in, to see if they had me head over heels. When I first stepped foot inside the shoes I had a little smirk on my face, as I was surprised at how comfortable they initially felt. However, I was more concerned how I felt after spending 16 hours in them as opposed to eight seconds. I was hoping these shoes had a fifth gear to get me through the day quicker, yet they showed they had a secret sixth gear. After a long shift, they’re a breath of fresh air, as I heard my feet breathing a sigh of relief through their seamless upper that allows it to breathe easily. A unique feature is their dual density EVA midsole, which is usually used in running shoes. This is why I didn’t feel as though I’d been on my feet all day. At the end of the day comfort is crucial and these felt better than some athletic shoes I’ve tried in the past. In the future they will be sure to provide the correct level of support, preventing any repetitive stress and impact injuries. They’ve also stepped up the shoe game by using the PU-foam Sock Technology, further enhancing your comfort throughout the day. Not only do they feel sporty but they fulfil their primary objective of providing safety. A new nano toe cap makes them 100 per cent metal-free, and super light as a consequence. At the same time they’re 40 per cent stronger than fibreglass, with a high level of fully tested slip resistance. Solid Gear’s Evolution black safety footwear doesn’t just talk the talk, it also walks the walk leaving others to follow in its footsteps! Previous : How do tradespeople feel about sales?